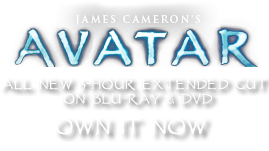 Maraca aerii | Pandorapedia: The Official Guide to Pandora | Own AVATAR on Blu-ray & DVD Now! Normal plant gravitropic responses are missing in the panopyra. Instead of growing toward or against gravity, the vine-like stems sense and grow towards prey, which in turn are attracted by slight electric signals emanating from the plant stems. 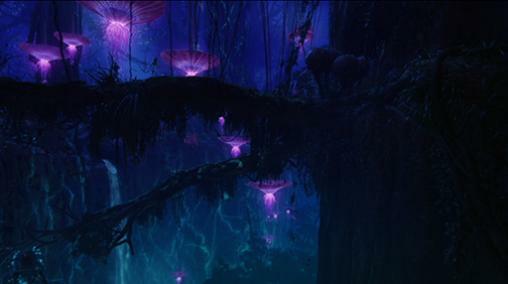 Once an animal approaches the panopyra it is further lured by the nutrient-rich water trapped in the cup-like plant body. This double attractant system results in abundant food for the panopyra, which has no need to make its own by photosynthesis. The Na’vi collect the liquid that catches in the body and use it for a nutritious and healing drink. The flexible stems are used for making nets, traps, and other woven items. The growing tips of the stems with their sensory cells are said to be an attractant and aphrodisiac and are often worn by young Na’vi who are looking for a mate. Botanical Description Succulent leafless cup-shaped plant that grows attached to other plants. Considered to be zooplantae because of primitive sensory cells at growing tips of vine-like stems that emerge from the cup. Cells resemble emergent nervous system. Ecology Cup-shaped body catches water and minerals from dew and fog. Tentacle-like vines sense and attract prey. Insects and small animals drown and are digested. Ethnobotany Vines used for making nets and traps. Liquid that collects in cup-shaped plant body used for healing properties. Notes Nicknamed “love flower” by Terran scientists.